This video may not look like considerable, but it's the most absolute indication we have that our Milky Way Galaxy is circling around an extremely massive black hole. Produced by a group at UCLA, it shows the orbits of stars about that black hole, and it demonstrates us a little something else, too. For decades, astrophysicists had confused over what hang about at the center of our galaxy. 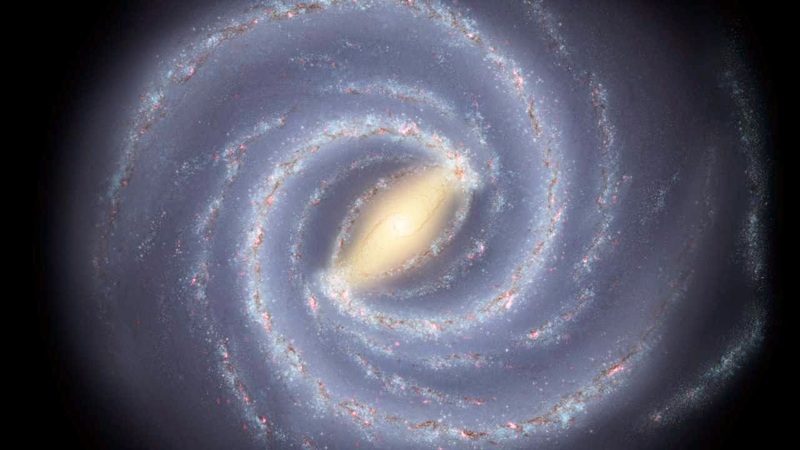 The Milky Way is a spiral galaxy, made something like a whirlpool of stars, and each "arm" of the whirlpool seems to have been tossed out from a central area. The problem? We can't see the center of the galaxy at all; it's hidden behind a mist of dust, stars, and gas. So astrophysicists started to stare at the galactic center at the distant red end of the light spectrum, observing for low-energy light waves that might pass through all that dust. They observed a lot of stars circling around . . . something. But that something produced no light in any portion of the spectrum. It was as if the middle of our galaxy was just a blank. Which hums a little bit like a black hole, doesn't it? Most stargazers thought so. But it wasn't until we plotted the orbits of stars at the center of the galaxy that we had clear indication. Below, you can see additional video of these orbits, produced using imagery from the Very Large Telescope in Chile. If you want to know more about this and its math, you can learn more in this paper.